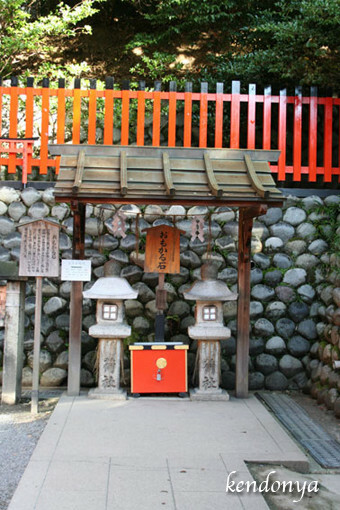 Originally, The God of Inari was enshrined in the Inari Mountain. 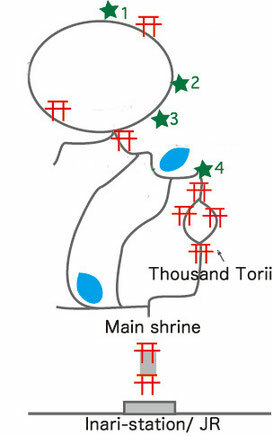 But because you ( worshippers ) could not pray easily, the shrine was transfered to foot of Inari (the) Mountain. 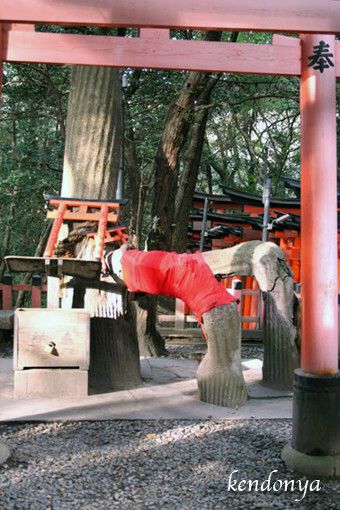 But, even now, we call the act of worshipping the God enshrined in Inari Mountain, "Oyamameguri". The Gods of Kaminoyashiro( Ichinomine ) and Nakanoyashiro( Ninomine ) are a married couple. Shimonoyahiro( Sannomine ) is the children. ★4・The Okunoin, is famous for Myobu's lanterns called "Heavy Pumice". For each prayer, please lift this stone. The lighter it feels, the easier your wish will come true. The heavier it feels, the more difficult your wish come ture. 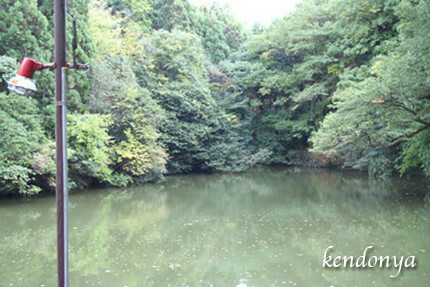 After passing through the Okunoin, there is the( you will see ) "Neagari no Matst". It is said to heal knee pain and back pain. Also, there is a theory that people worship for the rise in market value. 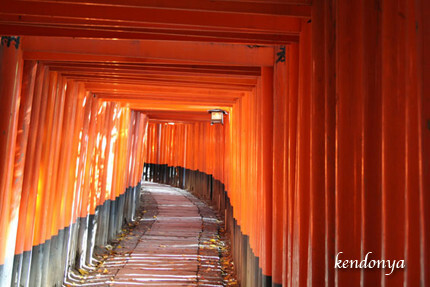 After The Okunoin, and passing trough the tories, there is the Kumatakasha. Toward the echo poud, let's clap. Apparently there is a theory that "God will return back" the echo. Your wish might come true if you pray in the direction in which the echo was heard. Yakurikisha・・・You do not pray for a medicine to work well, it seems that you pray so you will not have to rely on medicine.